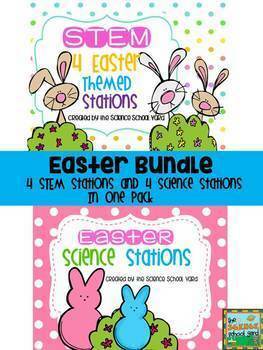 Time for Easter Science and STEM stations! 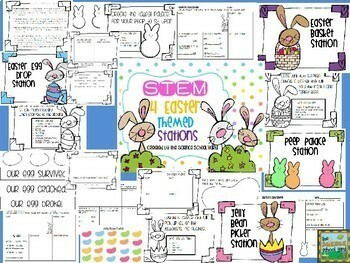 From plastic egg sound discrimination to egg protectors...egg chromatography to jelly bean picker uppers...these 8 activities will keep your students "Hoppy" this April! 1. 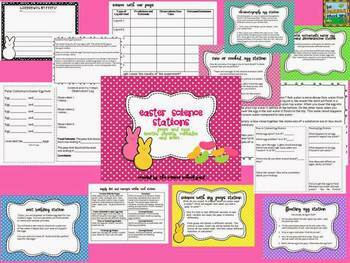 Peeps Variable lesson with station sheet and printable observation sheet for students' science notebooks. Pack includes activity guide for teacher with material list and concept summary.